At Nissan, we’re always pushing forward to bring you not only the best—but the most intuitive driving experience—and we know that while you’re on the go, you need to be connected. Don’t try to juggle the steering wheel with your phone, connect to the road while still staying connected to all of your apps, networks and other comforts of your mobile device. Setting up your smartphone to your Nissan is easy if you follow our guide! First, download the NissanConnect℠ app and connect to your Nissan using Bluetooth®. After the app is downloaded and you’re connected, open the app, and create an account. It’s that simple! 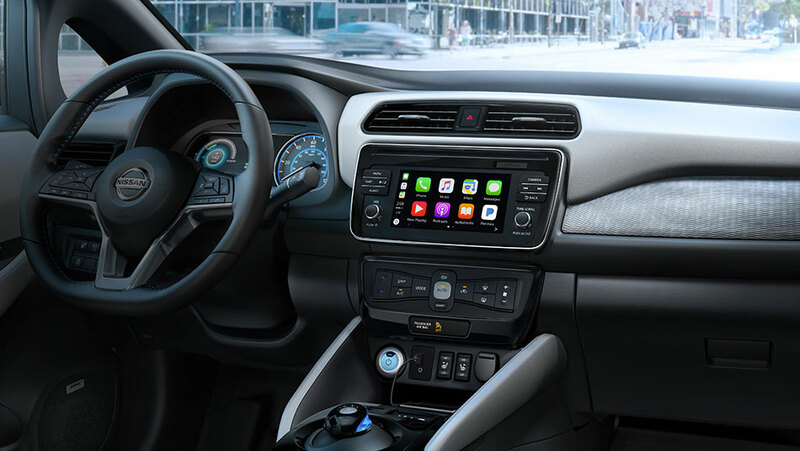 With NissanConnect℠ you can connect to all of your favourite apps in your vehicle, so you can stream Spotify, check Twitter, and search Google, all while you drive. Access NissanConnect℠ with both touch and voice recognition, so you can make calls, cruise SiriusXM® Satellite Radio, follow your navigation, and have access to all your other media all while keeping your eyes on the road. NissanConnect℠ brings a safety-first approach to entertainment, so every road travelled will be safe. Drive smarter with our intuitive infotainment system! NissanConnect℠ is only one of the amazing features that make the Nissan driving experience outstanding. Make sure to check out all the other technology that goes into our lineup of vehicles, and contact Go Nissan North directly if you have any questions! Or better yet, stop by our dealership to see our showroom for yourself.